The podiatry professionals at Rock River Foot & Ankle Clinic, S.C. are pleased to welcome you to our practice. We want all our patients to be informed decision makers and fully understand any health issues you face. That’s why we’ve developed a web site loaded with valuable information about podiatry, and podiatric problems and treatments. We encourage you to visit this site whenever you have concerns about your feet. 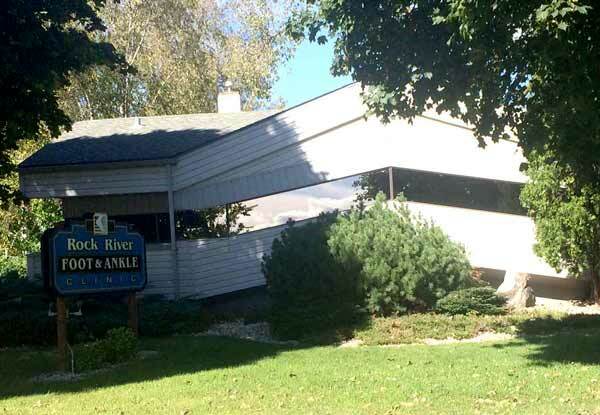 We invite you to take a few moments to look through this site to get a better feel for Rock River Foot & Ankle Clinic’s capabilities and services. We also encourage you to call our Watertown office at any time to request an appointment or ask any questions. The Rock River Foot & Ankle Clinic offers a wide variety of services including diagnostics and treating conditions of the feet, ankles and legs. My husband had an ingrown toenail and Dr. Yaeggi took care of it. My husband said he felt better before leaving the clinic! All of the staff is very professional and we highly recommend this business. We feel we can trust the doctors here and will go back when needed.